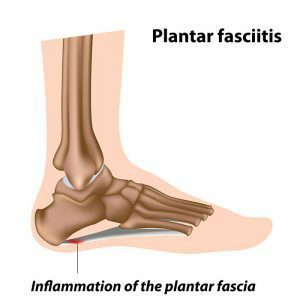 Plantar Fasciitis is the thickening and inflammation of the plantar fascia. This is the tissue that runs along the sole of your foot, it connects at the heel and the ball of the foot. There can be many contributing factors to developing plantar fasciitis. It can be very painful and can affect your ability to walk. If you think you are suffering from Plantar Fasciitis then give us a call on 01386576128 or get in touch via our contact page to arrange an assessment to see how we can help you.